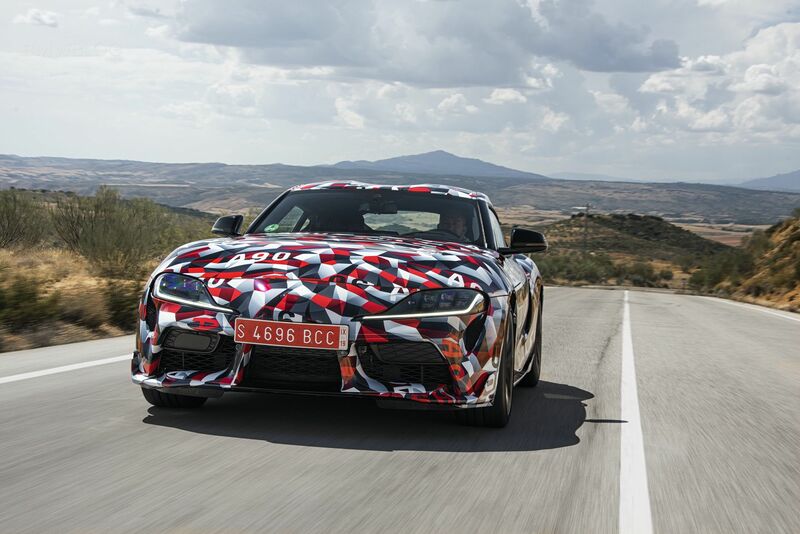 Motor.es has recently tested the new generation of Toyota Supra that will reach the market in 2019. 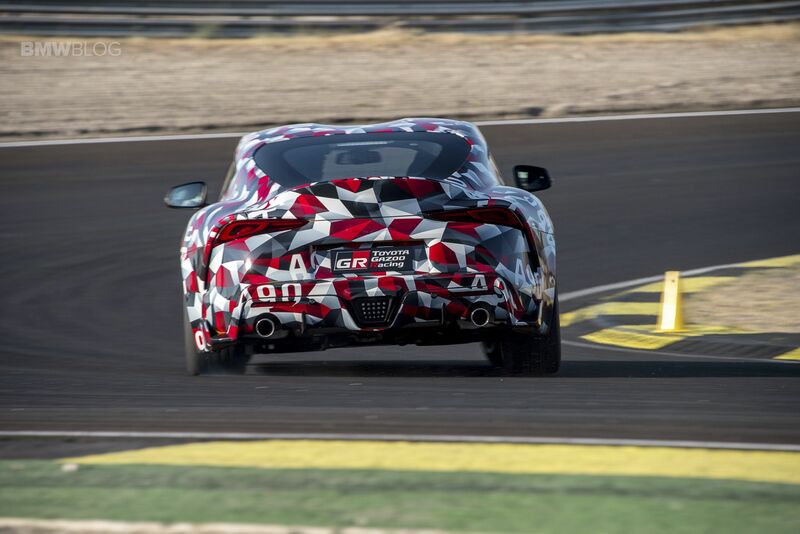 The prototype tested was in its latest development phase and the test took place at the Circuito del Jarama and in the Sierra Madrileña, Spain. 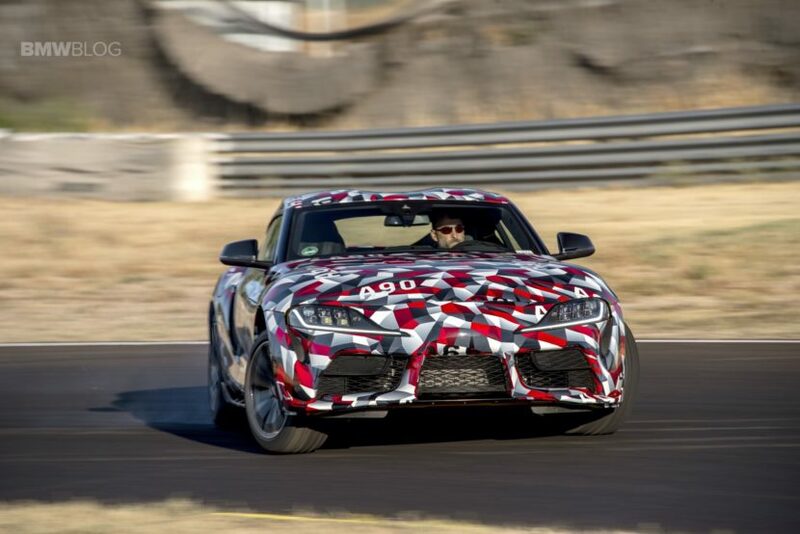 Over the last two years, Toyota has been testing its Supra prototypes in all parts of the world, so when I received the invitation to try and get to know the model – in its final prototype phase – I was quite excited. I was excited because I was one of the first four Spaniards to try the model and to have the opportunity to chat with the team of engineers in charge of the Supra project. The latter also allows you, thanks to the conversations that are maintained throughout the day, a more intimate and authentic approach to reviewing the car. The history of the Supra is quite long; the brand knows it and the burden of developing the successor of some of the most famous sports cars of all time is heavy. To learn more about this icon, I recommend you review its history that began in 1978 with its first generation. 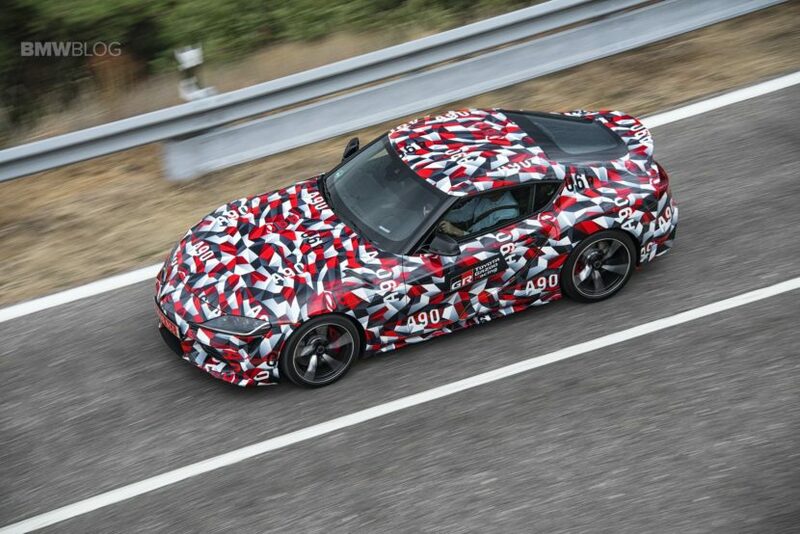 The new Supra prototype is still covered with a very peculiar wrap, as it was seen in its debut on the track at the Festival of speed in Goodwood. I know the model by heart, but when you really spend some time with it is when you begin to appreciate its features. Its appearance is very exotic, with sinuous and strong lines that reveal its Japanese origin. It has an athletic waist, false entrances and air exists – a tendency in many street models – and some really sharp front and back bumpers. In its rear part, a double exhaust outlet, embedded in a generous diffuser – with LMP1-like brake lights – completes its sporty design, which is further enhanced by a highly inclined windshield and a double bubble roof. The 19-inch wheels are wrapped in Michelin Pilot Super Sport tires, sized 255/35 in the front and 275/35 in the rear, like a BMW M4. After arriving at the Jarama Circuit, a quick brief explains the key points of the car and confirms that the prototypes that we are going to test are equipped with an engine delivering more than 300 HP. Toyota has not shared the exact data, although I bet on around 350 ponies. The engineering team has told us that the development has been influenced to a large extent by the routines of their future owners. For this reason, 90 percent of the development has taken place on the street with some of the testing taking place on the fast roads in the Circuit of Miramás where BMW tests his own cars as well. Further testing includes long road trip in the United States, fast runs on the Autobahn and of course, countless of laps on the Nurburgring. The cold weather climate has not been forgotten either, so the Sweden was the right place to test on ice and snow. So to avoid disappointing its most naughty owners, Toyota has also studied the behavior of the car skidding, making donuts and drifts. I can not tell you how definitive is the interior of the prototype which I have driven since it was all covered with a fabric, but it does seem very close to the final one. As expected, there are elements reminiscent of BMW, such as the infotainment screen that crowns the dashboard as well as the quality of some elements that I could see, like the buttons in the central tunnel where we find the Sport mode button and the level of the automatic gearbox. At the moment there will be no manual box for this engine. The seats are very cushioned and extremely supportive when you slide around during some hot laps on the track. There are no optional seats with a sporty appearance – its design was quite conventional – but that does not exclude Gazoo Racing working on a line of accessories such as wheels, lips, stickers or exhaust systems. The Supra’s chassis uses hot pressed steel and some aluminum parts, like the rolling trains and the whole set of suspensions. I have not been able to confirm if some pieces of its skeleton use carbon fiber, although I think that is the case. 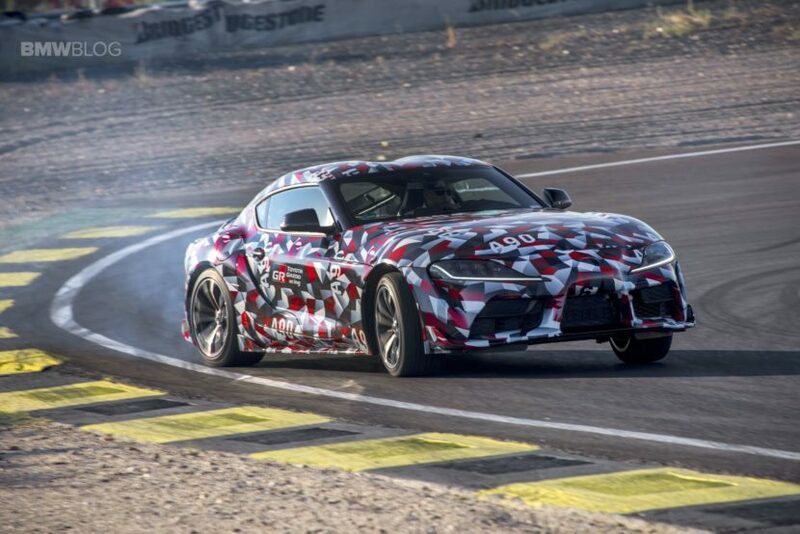 The new Supra weighs around 1,500 kg, but the final number has not been officially acknowledged. 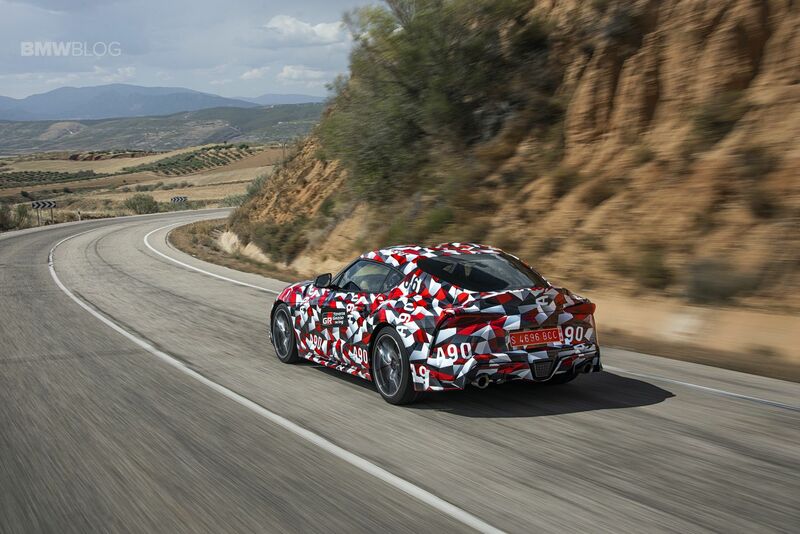 I have been able to test the Supra on the highway, national and rural roads, and of course, on the track. The Jarama Circuit has been the witness of the event, just as the Toyota GT86 was at the time of its presentation. The GT accompanied us during the road route, as we are two guests per car, and to our right drives a member of the engineering team. We take turns with the Supra and the GT86. 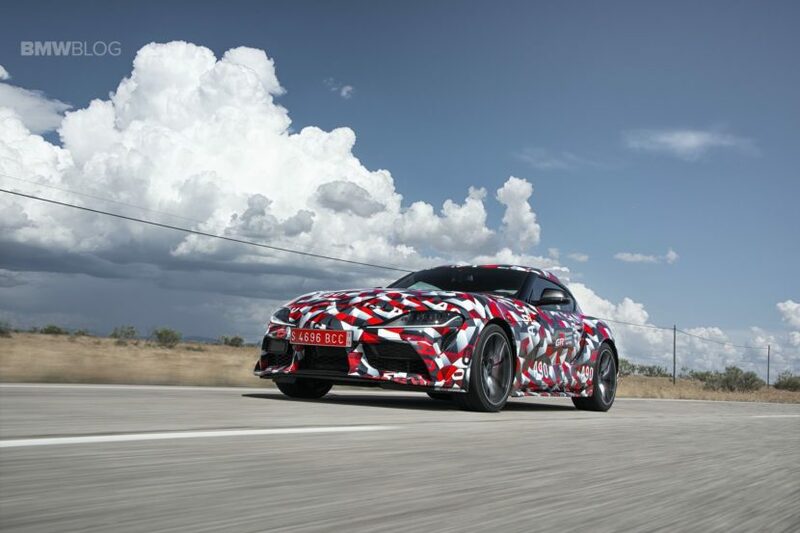 The latter is rougher with more connection from the road to the passenger compartment, yet the Supra feels more powerful. At the same time, the Supra is surprisingly comfortable, I expected a GT86 superlative, with its hard and demanding touch, but we must remember that the Supra has always been framed between the Coupé and Gran Turismo philosophies – sporty, yet enjoyable daily drivers. The driving position is very low, with very stretched legs, centered between the front and rear axle, having full control over what is around us. The automatic gearbox is not a double clutch transmission, it’s an 8-Speed ZF transmission that has sensational performance. During circuit runs, the gearbox box perfectly manages the transitions of gears. In manual mode – with a design and 100 percent German touch – the car obeys instantaneously the orders given. It’s not as fast as a double clutch, but it feels great. The seventh and eighth gear are for relief. At 120 km/h, in the latest ratio, the engine barely rotates at 1,500 rpm. With the data we have, we can approximate that it will perform 0 to 100 in less than 5 seconds. When you sink your foot on the accelerator, the Supra shoots forward, with a sound in the passenger compartment enhanced by the audio system inherited from the Germans, and quite discreet from the outside. I expected these prototypes to have a more outrageous escape sound, but that has an easy solution – the aftermarket world. Toyota told me that there is still work to be done in the sound department. The brakes are signed by Brembo, but no other info was shared. According to the manufacturer they are prepared to work at high temperatures, also on the track. During my track experience, they performed as expected although it’s true that I have not run for a long time. Taking into account its power, the Supra is very easy to drive and I remind you that under the hood is a six-cylinder in-line petrol engine with a double-entry turbocharger and more than 300 HP. It has a unique sport mode that hardens its adaptive suspension and its steering, the active differential also delivers the most effective traction. The work of the differential is conditioned by the signals that your control unit sends, which takes into account parameters such as the grip of the tire, the power that the engine sends to the rear axle, the accelerator stroke or if the brake pedal is touched. Thanks to the variable torque distribution between the rear wheels, it limits the sliding between the inner and outer rear wheel in a curve, which allows to exit them at a faster rate. It is a very agile sports car, with a perfect 50/50 weight distribution, with a center of gravity lower than the GT86 and a torsional rigidity identical to that of the legendary Lexus LFA. It changes trajectory with great ease, very stable also at high speeds. It transmits confidence and it’s very fun. In some European countries, the online pre-bookings will begin in October, and official dealers will be able to order them as well. The price is unknown, but it’s expected somewhere between 50,000 and 55,000 euros. At the moment the weak point I see in the Supra is its sound. The limitation in this part belongs to Toyota, since it has decided to equip a very discreet silencer that does not offer any problems with the legislation. When I rode in the Supra, the first impression was slightly disappointing, as everything was very easy and comfortable. But that feeling was quickly dissipated when I collided with reality – The new Supra will be an exclusive and visually stunning car. It is a more than a worthy successor to the history of Toyota sports cars and will be an alternative to the sports versions of the Audi TT, 718 Cayman or even the Alpine A110.